"The Fateh Prakash Palace has been certified as the best Heritage Hotel in 'Heritage Grand' category by the Department of Tourism, Government of India for 2001-2002. The hotel is praised for providing Traditional Marwari hospitality blended perfectly with luxurious facilities and excellent services. 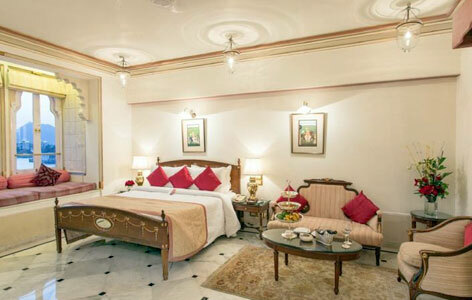 Thus, this heritage hotel is a highly favored holiday retreat for tourists visiting Udaipur from all parts of the world. 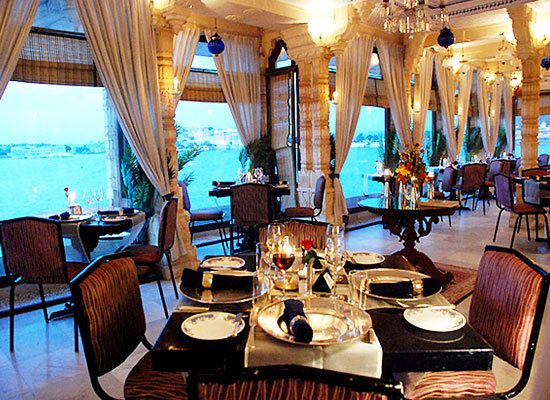 The Fateh Prakash Palace is majestically located along the shores of Pichola Lake in Udaipur. The palace gets its name after one of the greatest rulers of Mewar dynasty, Maharana Fateh Singh. 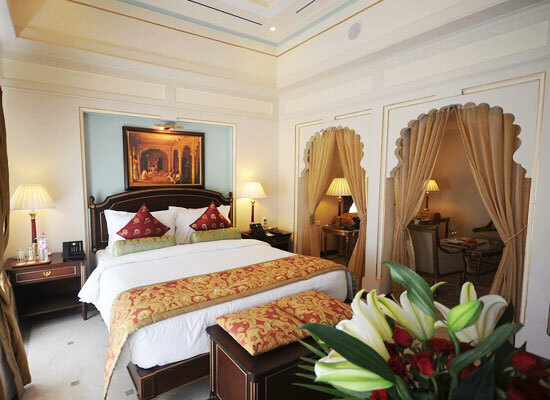 The palace was renovated and converted into a heritage hotel, known for its par excellence and royal architecture. The palace features distinctive turrets and majestic domes. The palace also showcases a treasure-trove of priceless paintings, exquisite chandeliers, and collection of unique crystal and crockery. The suites also feature period furniture, original miniature paintings and portraits. 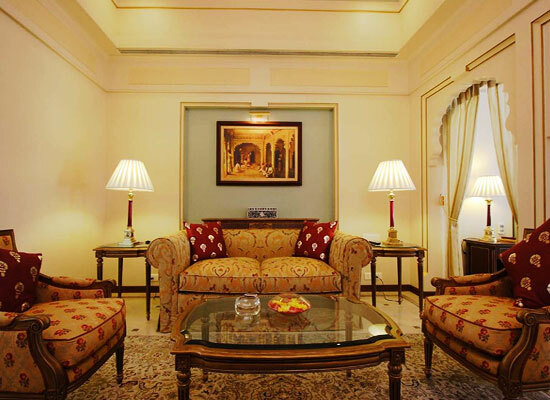 There also are private sitting areas in all rooms and suites at the palace. For utmost comfort, the rooms and suite are equipped with various room facilities such as air-conditioning, satellite TV, international direct dial telephone, mini-bar, etc. 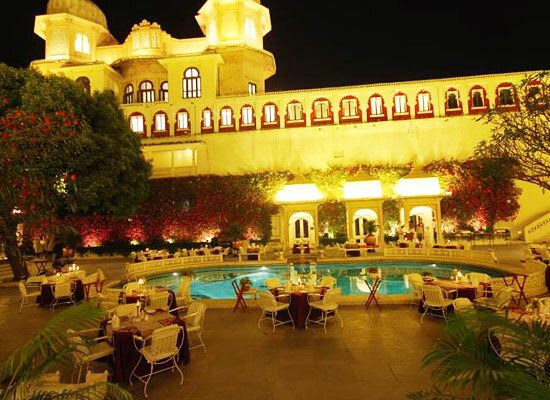 Rated as one of the top restaurants of India, The Sunset Terrace at the Fateh Prakash Palace offers spectacular views of several prominent landmarks in Udaipur. The food menu served at The Sunset Terrace features an eclectic variety of Indian, Chinese and Continental cuisines. It also offers a panoramic view of Lake Pichola and the Lake Palace hotel. It is open for breakfast, lunch, dinner and light refreshments throughout the day. The restaurant remains open from 7.00 AM to 10.30 PM. The Surya Darshan Bar at Fateh Prakash Palace is a perfect venue to relish English Afternoon Tea. Here you can sit back with a drink and watch the sunset over the hills. The best time to enjoy English Afternoon Tea is from 3.00 PM to 5.00 PM. One can also enjoy alcoholic and non-alcoholic beverages from 11.00 AM to 10.30 PM. Udaipur is a must visit travel destination in India, due to the rich history, vibrant culture, and scenic locations. The old-world charm of the place has attracted visitors from all across the globe. The city is also bestowed with forts and palaces that reflect the huge historic significance and architectural brilliance. Some of the places of interest in Udaipur are City Palace, Jaigarh Fort, Nahargarh Fort, Amber Fort, Hawa Mahal, Jantar Mantar, etc.